-L Irrigation Company has been providing irrigation solutions since 1955. The family-owned company, based in Hastings, Nebraska, introduced its line of mechanized irrigation systems in the late 1960s. Since then, it has continued to innovate to make its products more reliable and easier to use. 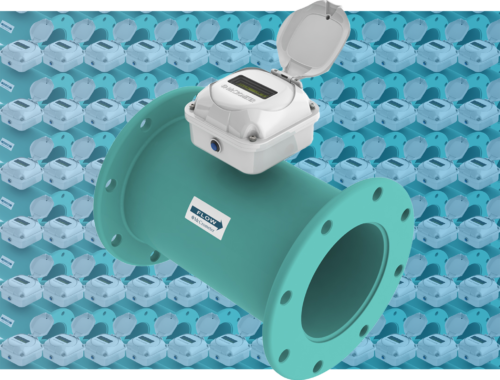 These days, that means enabling customers to irrigate their fields with extreme precision— moving their systems in straight lines with sub-inch accuracy using GPS or choosing which portions of a field to irrigate using a touchscreen display. 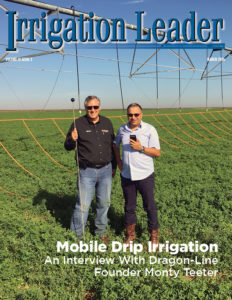 In this interview, Neal Schlautman, the engineering manager at T-L Irrigation, speaks with Irrigation Leader Managing Editor Joshua Dill about his company’s history, its current offerings, and the challenges of developing and pioneering new technologies in a competitive market. Joshua Dill: Please tell us about your background and how you came to be in your current position. Neal Schlautman: I grew up on a diversified farm in northeastern Nebraska. I was always interested in doing things with my hands, including mechanical and electrical work. I spent a lot of time out in the shop. I went to the University of Nebraska and dual majored in mechanized agriculture, which was a program in the agricultural engineering department, and agricultural education. At the time I graduated, the agricultural economy was not very strong, and agricultural machinery companies were laying off instead of hiring, so I taught high school agriculture for 5 years. Then my wife and I had an opportunity to go to Iowa State University and work on advanced degrees. While working on my PhD, I taught classes in the Ag Systems Technology Program in the Agriculture and Biosystems Engineering Department. As part of my PhD, I instituted and developed an agricultural electronics course. In 1993, I applied for a position in T-L Irrigation’s engineering department, and I have been here ever since. I took over the role of engineering manager in 2012, when the previous person in the position retired. Joshua Dill: Please tell us about T-L Irrigation. 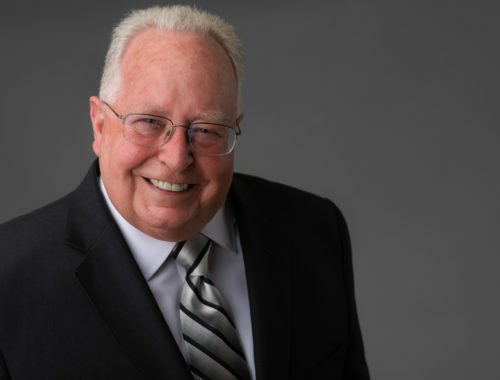 Neal Schlautman: The T in T-L stands for Leroy Thom, who graduated from the University of Nebraska’s agricultural engineering department in 1949 and founded the T-L Irrigation Company in 1955, selling a range of irrigation and agricultural equipment. When he founded his company, Mr. Thom needed some financial backing, which he got from a gentleman named J. G. Love, who was a mortician in the town of Ravenna, Nebraska, near where Mr. Thom grew up. Mr. Love is the L in T-L. Mr. Thom repaid Mr. Love in 1961, but he kept both initials in the name, and we have been T-L ever since. In the late 1960s, Mr. Thom started working on mechanized irrigation equipment. He had looked at how other companies were building center pivots, using high-voltage electricity, which posed safety risks, and start/ stop motion, which caused water uniformity issues. He decided to try to do it with hydraulics because farmers were used to hydraulic systems on their tractors and combines. He developed a simple hydrostatic system using hydraulic oil that enabled continuous tower movement, which T-L has used ever since. Leroy Thom was involved in the company up until last year, when he passed away at 93. Two of his sons, Dave Thom and James Thom, still own and run the company. T-L has roughly 150 employees out in the factory and roughly 40 in the office. Our Hastings, Nebraska, site is the only manufacturing station we have in the world; from this facility, we distribute our products domestically and to 77 countries around the world. Joshua Dill: What are your main product lines? Neal Schlautman: In terms of mechanized irrigation, we manufacture center pivots and corner systems. We also produce lateral-move systems, which are linear irrigation systems that travel in a straight line through the field. Because they are not staked down with a pivot point, those structures need their own guidance systems. Joshua Dill: Would you tell us about how pivot technology has changed over the period that you have been at T-L Irrigation? Neal Schlautman: The biggest change through the years has been the incorporation of higher- technology-embedded electronic control systems. We have always offered our basic control. As far as I know, we are the only company in the world that offers a basic control option that allows you to change the direction and application rate of your pivot without any span cable control-wire system. On any center-pivot system, you set the end tower, or boss tower, moving at a certain speed in a certain direction in order to achieve a desired application rate. Our competitors do that by mounting a control panel at the pivot point and running three-phase, 480-span cable to each tower, out to the end tower. However, with our hydraulic drive system, we can mount a directional control valve out at the end, with a handle on it for forward and reverse motion and a flow-control valve that can be rotated from 0 to 90 degrees to adjust the speed of the system. This is done without any copper wire, which is especially important if it is installed in a country that has problems with copper theft. This is the technology that got T-L started in the late 1960s, and it is still half of what we sell today because it is so simple and reliable. 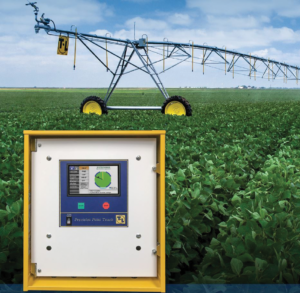 If a farmer wants to have telemetry control or control over variable rate irrigation, we can mount a control panel on the pivot point or mount it remotely at a field edge. We then use control cable to connect it to the end tower to give us our electrohydraulic control, and then we control it with a smartphone or any other web- connected device. Joshua Dill: How has the market changed over time? and control of numerous irrigation systems so they can be more efficient with their time. Growers are also using weather stations, soil moisture sensors, and other techniques to help them be better stewards of the resources they use. Internationally, Australia and New Zealand have always been solid markets for us. As in the United States, customers in these countries also demand the latest in technology and precision farming, especially related to water application efficiency. Joshua Dill: Speaking of monitoring and control systems, would you please tell us about the Precision Point Touch (PPT) panel that you have developed? Neal Schlautman: Over the years we have offered a variety of control panels to be mounted at the pivot point. The most common one we had was an LCD character control panel with six keys that allowed a user to set their pivot’s speed, application rate, and direction control. The user could also add a GPS system to control the angle of the pivot and set end guns. As we packed more features into one device, it got more and more complex to do that with just six keys. can provide a visual representation of the areas that will be watered if you turn on an end gun. If you set different application rates in different areas, the panel will graphically display your selections. If you wanted to quickly set a stop, for example because you have a part-circle system, the panel will show you the exact line where your pivot will stop. All this makes it very easy to make modifications. Our display is also color-coded for easier use. For instance, if the system is stopped or idle, the pivot circle on the display will be gray, and if it is running, it will be green, and the end gun areas will show up along with the arcs. If there are stop or safety conditions, the circle will turn red and a message will pop up. It is very easy to navigate. Joshua Dill: Would you also tell us about the shared real- time kinematic (RTK) GPS base station? just have two points, since it moves in a straight line. With a corner system, you will have multiple waypoints around the field. A GPS antenna mounted on the linear or corner system is used to tell you if your system is diverging from that path. To do that with sub-inch accuracy, you need an RTK base station. Typically for linear systems, the base station will be mounted in a stationary location within a mile or two of the field. A data radio will send correction information from the base to the rover that is attached to and is moving along with the linear or corner system. That is what the GPS antenna on the system connects into. With RTK corrections, you can get to sub-inch accuracy, meaning your path and your wheel tracks are perfectly straight, pass after pass. The advantage of our technology is that we can share one base station with multiple linear and corner systems, as long as it is within 2–3 miles of the systems and has a clear line of sight to each of them. Our base stations cost $5,900 and can work with several systems at once. Usually with corner systems, that base station needs to be mounted at the pivot point, but we have developed a method that allows it to be remotely mounted, communicating with multiple corner and linear systems by radio. This technology allows farmers to reduce the overall fixed cost of these irrigation systems while preserving all the benefits of an RTK GPS system. Joshua Dill: Does T-L have a team of engineers that works on these innovations full time? Neal Schlautman: Yes. I am the engineering manager in the engineering department. We have a team of engineers and draftsmen and support staff. We have several patents on the GPS navigation systems. Joshua Dill: Would you tell us about the problem of intellectual property theft in the irrigation field? Neal Schlautman: There is a definite issue with copycat systems developed in other countries. There are companies abroad whose products are clear, obvious copies of the products of one of the four major irrigation manufacturers. They can offer those systems without any research and development costs. Manufacturing abroad, they also have lower labor costs and deal with fewer regulations. We typically do not run into those products in the United States, but they are more and more prevalent in other countries. However, we are now seeing some infiltration in the domestic market as well. They can cost 30 percent less to the end user than what we can sell for. Joshua Dill: What is your vision for T-L Irrigation? 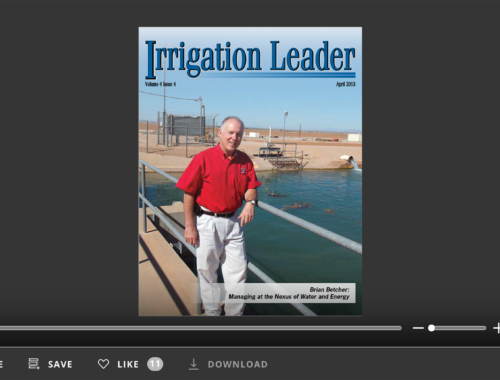 Neal Schlautman: The amount of technology in irrigation systems is continuing to increase. Much of that consists of decision-support systems that help farmers decide when and how much to irrigate by integrating weather and crop data from the field. We are going to have to stay on top of that. 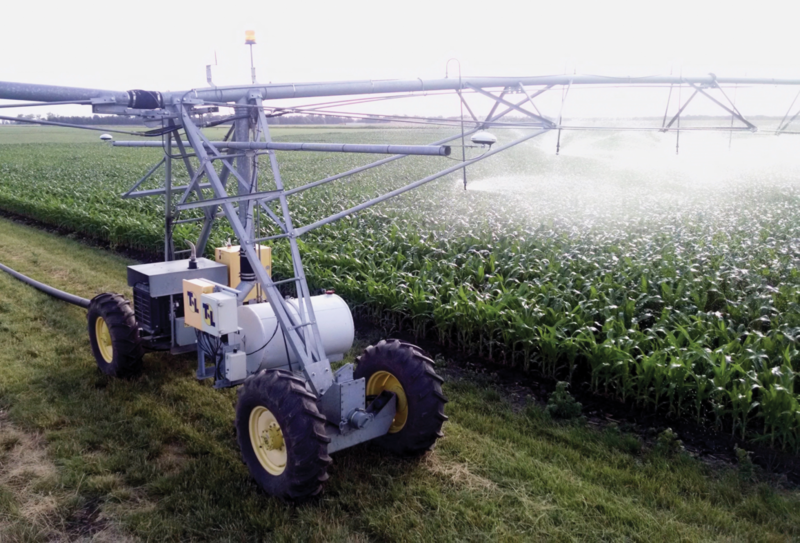 Individual nozzle control variable rate irrigation, which allows a farmer to control the water in specific locations in the field, is being offered, but there are challenges with its reliability and its cost. That is something we need to be cognizant of and work on. Now and in the future, figuring out the best use of water for a given crop will continue to be a challenge. T-L Irrigation is a family-owned business that has been in business for over 64 years. Our goal is not to be the highest- quantity manufacturer, but we strive to be the highest- quality manufacturer. We put a lot of pride into our engineering team and try to help the end user be the best at what they do. 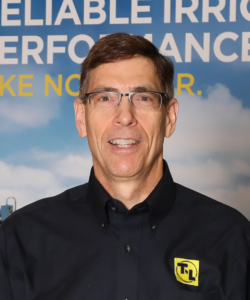 Neal Schlautman is the engineering manager at T-L Irrigation. For more information about T-L Irrigation, visit its website at tlirr.com or contact T-L at sales@tlirr.com orengineering@tlirr.com.